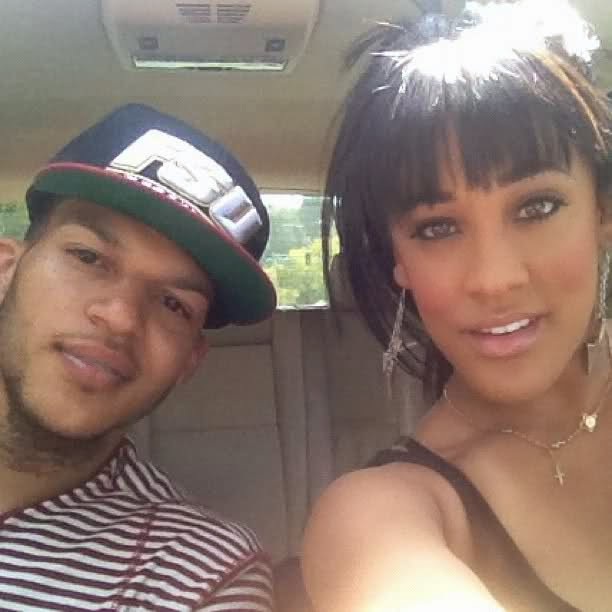 'Bad Girls Club' Star Natalie Nunn Confirms There Were Complications With Her Pregnancy - Ooooooo La La! Just a couple of months ago, I posted the news of how Bad Girls Club star Natalie Nunn and her husband Jacob Payne revealed to Life & Style they were expecting. After months of speculation, Natalie has spoken out about her pregnancy. In an exclusive interview with Oxygen, the 30-year-old reality star reveals she lost her baby. I noticed a lot of people were posting very harsh comments on Instagram. Every time Natalie would post a picture or video, people would comment and say she either faked her pregnancy or it was a publicity stunt for her new show Marriage Boot Camp. Some of Natalie's fans defended her and suggested she's still pregnant and hiding her belly. Well, Natalie has now opened up and revealed there were some complications with her first pregnancy. She said she decided to keep it a secret because it was hard to deal with. Yes, Natalie may be a Bad Girl, but she's human and she does not have to share everything with her fans. Any reason why you didn't feel like you could come out with it? I know a lot of fans were wondering about it, but I haven't spoken about things because it's been extremely hard. Hard times are best to share with family and loved ones when it's new! I just want to respect my husband, and make sure that all the sad stuff that we went through is understood. Yes, we are moving forward and doing things differently a second time. We are trying for a due date this year. This time, we're hoping for twins! What kind of mom do you hope to be? I think I'll be a really cool mom. We'll probably take them to Jamaica in the summer, and Jacob and I are really into sports, so our kid will probably play sports. I'll be the dopest, coolest soccer mom! Read more of Natalie's interview with Oxygen here.